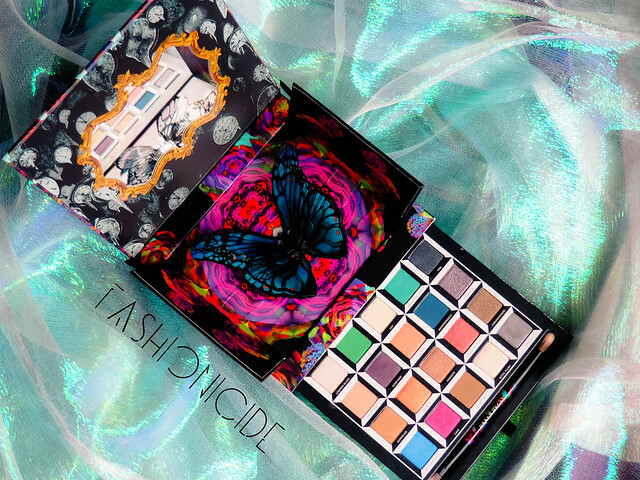 That being said, I'm always curious when I see a new release that promises lots of colour, and the lovely Rowena from Cosmetic Candy kindly scored me an invite to Urban Decay's Alice Through The Looking Glass collection launch event in Manchester, so I just couldn't say no! 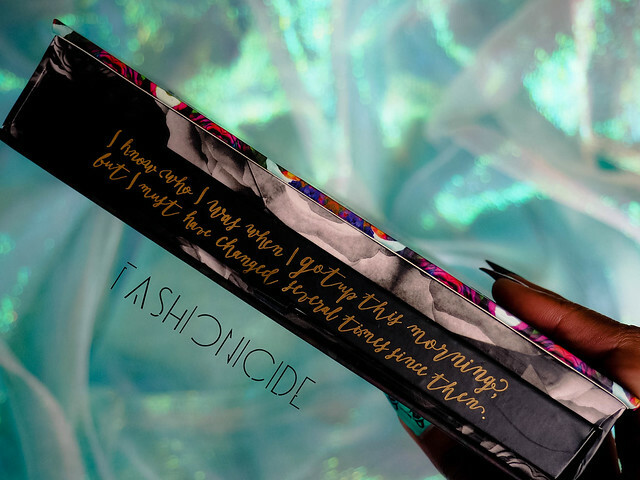 "Using the visually stunning Alice Through the Looking Glass as our inspiration, we painstakingly created the perfect mix of 20 ALL-NEW shades, then arranged them all in columns by character and put them in an intricately designed, collectible palette. Match up the columns to steal their looks or mix up these shades to create countless others. 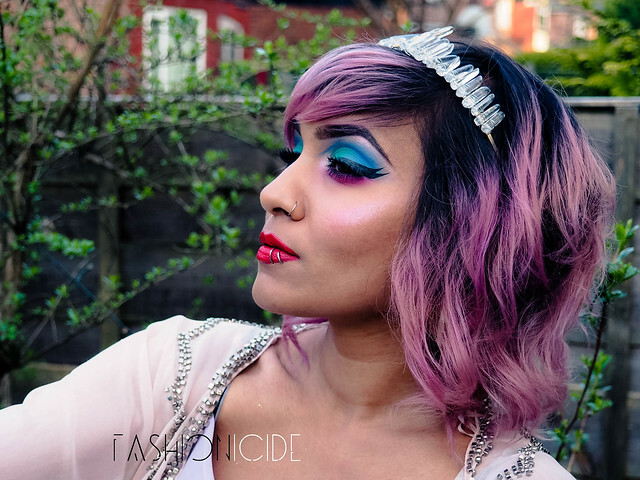 From softer shades inspired by Alice’s look in the film to bold, bright shades like those seen on the Mad Hatter, it’s all here." The concept is actually quite interesting, creating five rows of colour, with each row matching to a specific character. I really like the idea of being able to recreate a look in the style of the Mad Hatter for example, using his colours, but then taking that a step further and using colours from different characters. 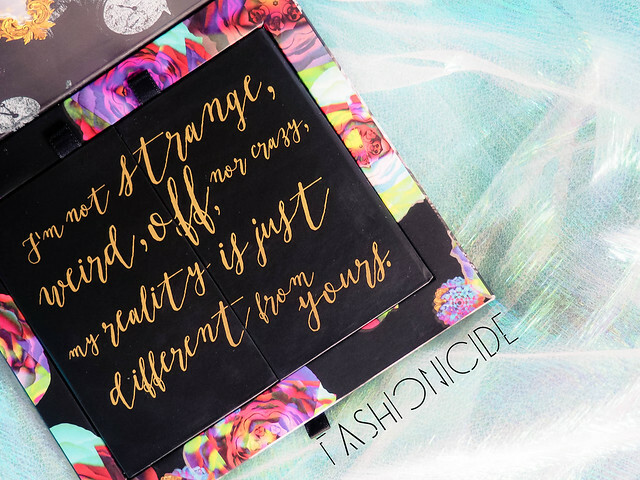 It kind of gets you thinking about all of the possibilities, and that's what makeup is all about for me. Endless possibility. It won't surprise you then that this was probably one of the few events I've been to that completely resonated with me. 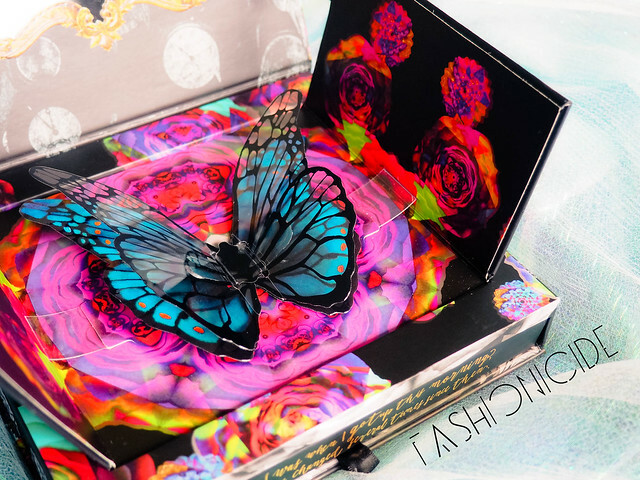 I'm never one to really pay too much attention to the packaging that makeup arrives in, I'm much more interested in what's inside, but I have to say that the packaging for this palette invites you in. It's an explosion of colour, with a quirky quote on the side. When I did open it, it reminded me of my childhood for some reason. You're presented with a nice mirror and another, even quirkier, quote spread across two flaps. These open to reveal a pop-out butterfly. Where is the makeup then? Simple, there's a little drawer on the front that you pull out, revealing your 20 shadows and a nice little brush for applying it with. 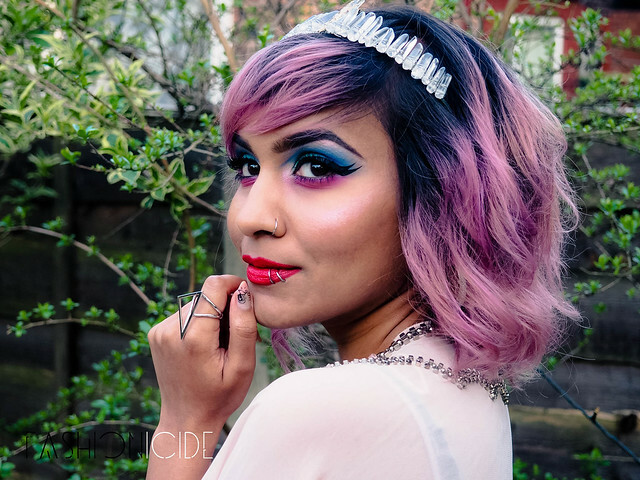 And all of this really does awaken the inner child, because makeup isn't only about possibilities, it's also about excitement, and it should feel special. It's been a long time since I've had a palette that felt truly special. Of course, when I got home I was just itching to try it out, see what I could come up with, as well as work out whether the actual shadows were any good or not. For my first road-test, I used the shades Heads Will Roll, Metamorphosis, Lily and Cake. I took one shade each from Alice, Mirana, Iracebeth and The Mad Hatter - a real mix and match! Heads Will Roll looks turquoise in the pan, but once applied on to the inner part of my eye, it appeared more like a nice teal colour. Metamorphosis looks like a shimmery periwinkle in the pan and was used on the outer corner, the crease and extended into the inner corner in a line, it's difficult to see that shimmer though (more on this later). Lily looks like a beigey-pink colour, but when I patted it onto the inner corners, browbones and cheekbones, it showed up as a beautiful iridescent pink shade. 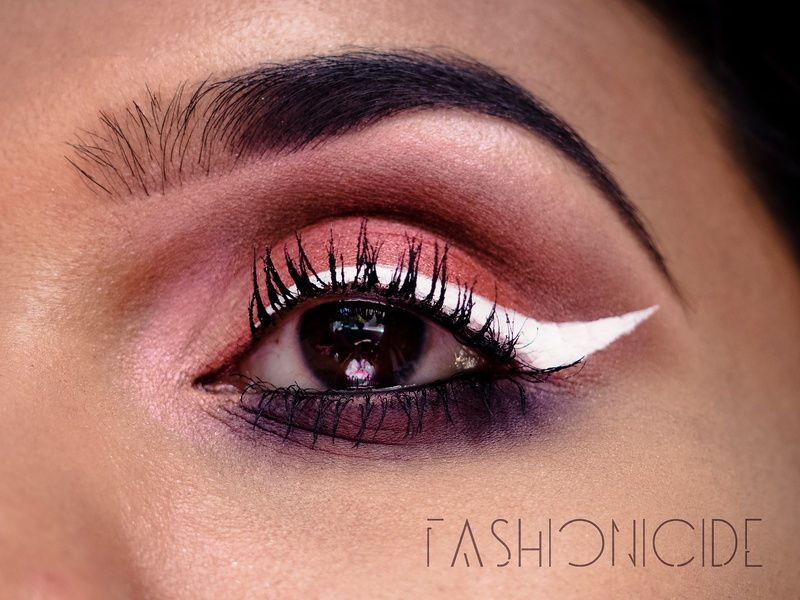 Cake is halfway between red and magenta, and it shows up on the eye exactly as it appears in the pan - I applied this one to the under eye and smoked it out using the blending brush that came with the palette. This close up is quite misleading, as it makes the blue shadow (Metamorphosis) look very intense with a good colour pay-off. In reality though, this was probably the most disappointing of the shades I've tested out so far. 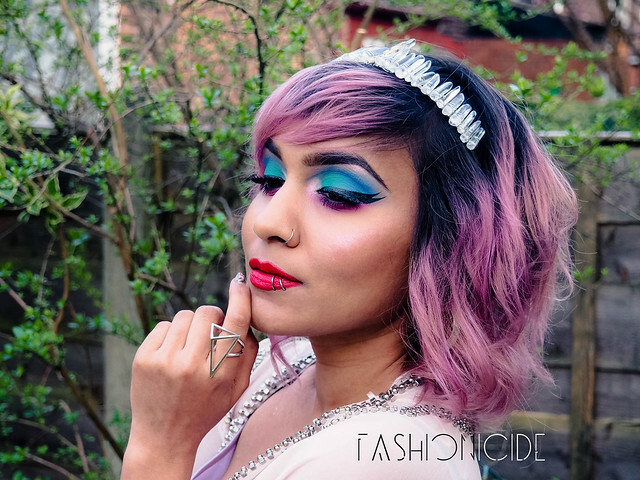 I really had to pack it on to achieve this look, and the reason I found it so disappointing is that Metamorphosis is supposed to represent Alice and her iconic, instantly recognisable blue dress that we all associate with her. I also feel like a palette from a brand as reputable as Urban Decay should have got it right. There are 19 other shadows to play with, and the colour is truly beautiful, so it's not a deal-breaker, just a minor irritant. To construct the look I used Salazen Grum on the lid which applied so, so smoothly onto the eyes. It's really noticeable in the photo above just how smooth it is in comparison to the brighter colours of the first look. It also leaves a nice coppery metallic frosty finish. In the crease I applied Chessboard, I've seen this described as a matte muted brown, but I prefer to think of it as a nice cup of tea. It's piss easy to apply and blends out in the crease smoother than an Indian Chai. On the brow bone I went for Looking Glass, which is a lightish pink that leaves an iced, frosty finish. It works beautifully to lift up the eyebrows. I applied Duchess to the inner corner, which is a peachy-beige colour (I'm calling this a Peige) that was really easy to work with. Again, leaves a frosted finish. And to round it all off I applied Gone Mad on the lower lash line. It looks like a dark aubergine colour (yes I did just compare makeup to a horrid looking vegetable!) It's quite sheer and applied patchy, which actually worked in my favour as I wanted to smoke it out. If you're wondering where the obligatory wrist swatches are, I decided not to post them as they came out a little blurry, besides, there are plenty of swatches for this palette already out there, so I don't think I'd be adding anything new. Instead, I find that it's much more rare to find photos of the product at work on the face, so I hope you find these looks much more useful and inspiring! Aside from the major Metamorphosis let down, there were a few other eyeshadows within the palette that I wasn't overly fond of. Time & Dream On really stand out as being particularly bad - both had an awful lot of fall-out and I just cannot tolerate this at all. I expect makeup in this price range to last the distance, not disappear down the rabbit hole in a matter of hours. That being said, the majority of the shades are of the quality you would expect from Urban Decay. Most have a soft, buttery texture and are a dream to apply. Overall the pigmentation is quite good, so you shouldn't need to pack them on, and if you do apply with a primer, most will stick throughout the day. I think overall the palette does have something for everyone. When you first open up the drawers it feels like an explosion of bright, vibrant colours, but actually there are quite a few more neutral and inoffensive colours in there too. 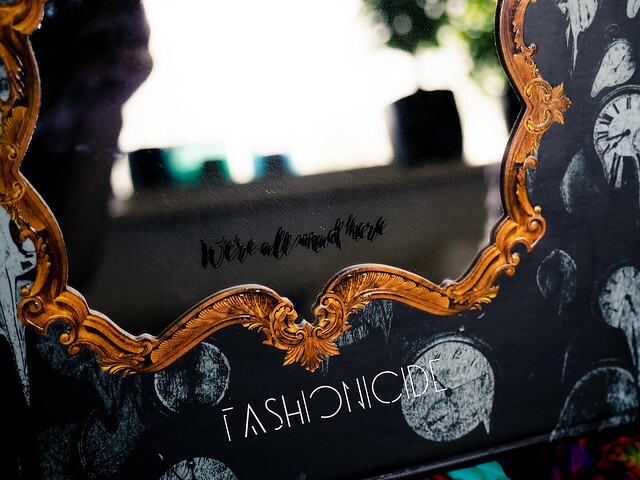 What's great about this palette is you can use it for your Monday morning makeup just as easily as you can use it for your Friday night out, and that's not an easy thing to pull off. 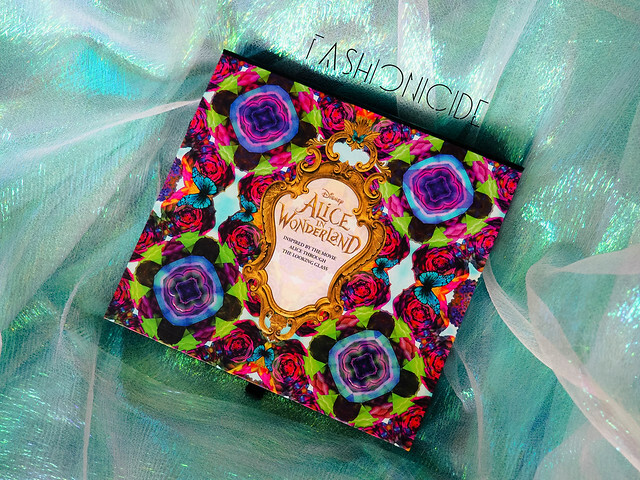 I'd recommend this to someone who is an Alice in Wonderland fanatic, or perhaps someone who doesn't have a burgeoning makeup collection and wants to grow it. The palette itself will set you back £43, but such is its popularity, it seems to be out of stock everywhere! If you do manage to find it though, it's the kind of palette that would make for a very nice gift. Or if you're feeling less generous, you could always gift yourself? The price tag does seem a little steep, but it works out at just over £2 per shadow, which isn't actually that bad at all. Anyway, I'm late, I'm late for a very important date. I want this for the packaging, it looks like a toy! I need it! 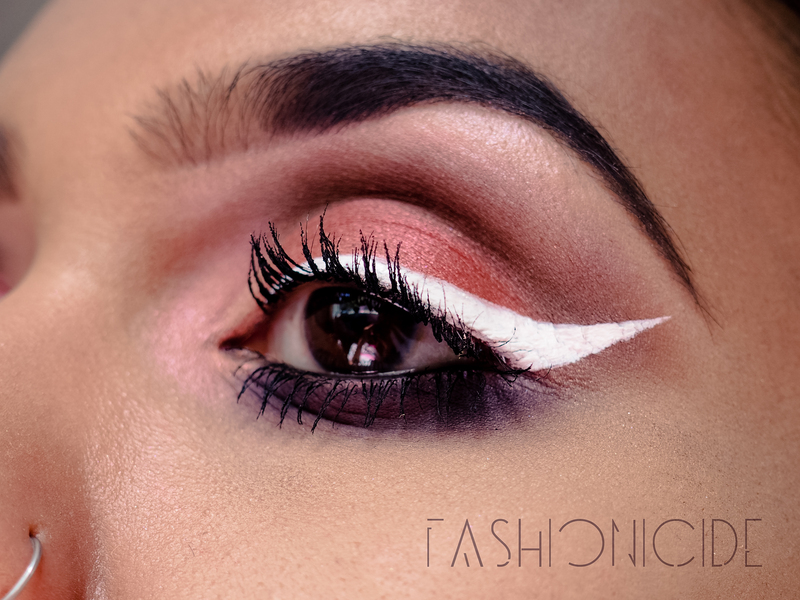 As always your makeup is immense, I love the white wing, it jazzes up the look, stuff wearable ;). Shame about the couple of let down eyeshadows, but I guess we cant have it all. Ohmygosh it does look like a toy! The packaging is just so quirky! I couldn't help but add the white wing, haha! Aye, with most palettes, there is always the odd shadow that is a let down. Boohiss. Me too! I just love anything Tim Burton tbh. 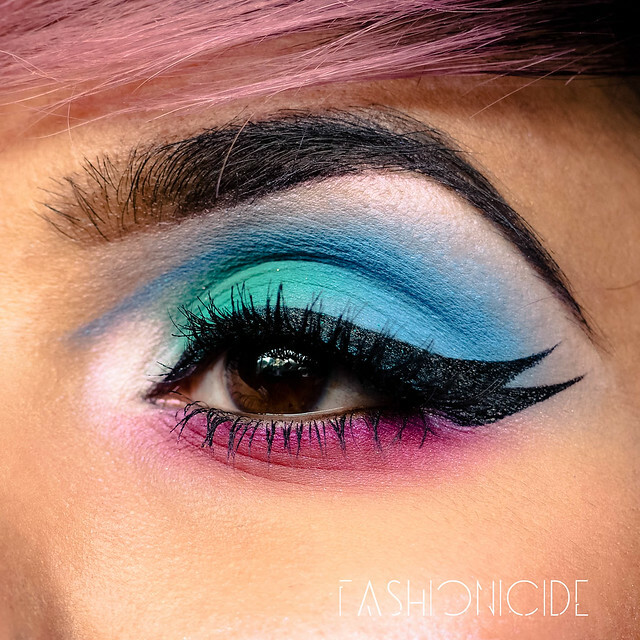 I adore the blue eye shadow - it is definitely eye catching! Hahaaaa! Love this post! And THAT PACKAGING!! Omg. I love Urban Decay! I WANT!!!!!! I am 100% with you about Urban Decay taking a backseat, I miss exciting, colourful launches instead of Naked after Naked! 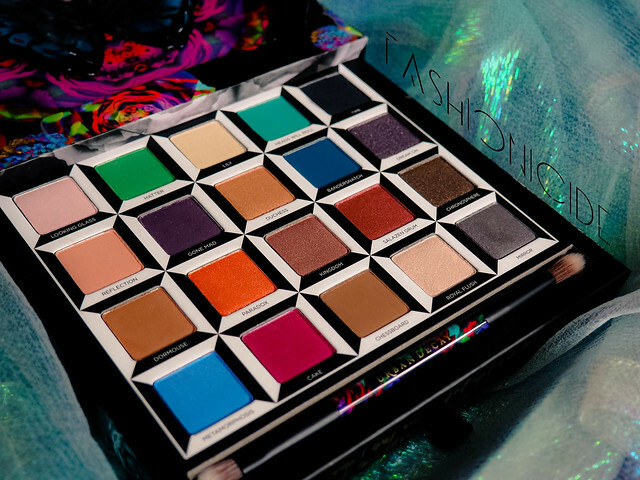 For that reason I really want to try out this new palette as it looks beautiful, but I'm not sure I can part with the money, it's very expensive for me to justify on one item! It sounds like an absolute delight though! I LOVE EVERY. SINGLE. LOOK! You are sooooooo talented - these should be in a museum girl! I feel like that palette may be a little adventurous for me but at the same time, I completely know what you mean about properly getting excited for a makeup product, I feel like I haven't felt that way in a really long time!